Facelift Image Replacement (or FLIR, pronounced fleer) is an image replacement script that dynamically generates image representations of text on your web page in fonts that otherwise might not be visible to your visitors. Let’s see how it behaves in Magento. 1. Download FLIR from FLIR homepage. I was using latest 1.2 stable for this article because of simplicity, but if you try you’ll find out that 2.0 beta also works great but requires little more configuration. I think it makes perfect sense to put it into skin folder. If your php error reporting isn’t disabled add error_reporting(0); somewhere on top of config-flir.php. This is main config file from which you can define options and custom fonts, so examine it. Refresh your Magento store and you should see the result. (Why) should your designer be Magento certified? 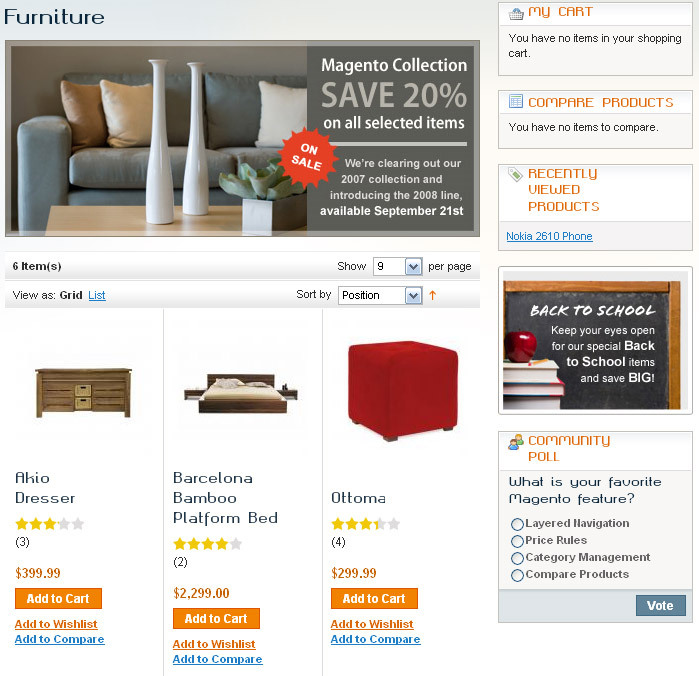 Your Magento shop deserves a custom tailored theme! It is quite amazing that after years of different apporaches and techniques, there is still no broadly accepted standard for image replacement. But then again, we will most likely never get to see a broad usage of IPv6, so it seems kind of natural again..